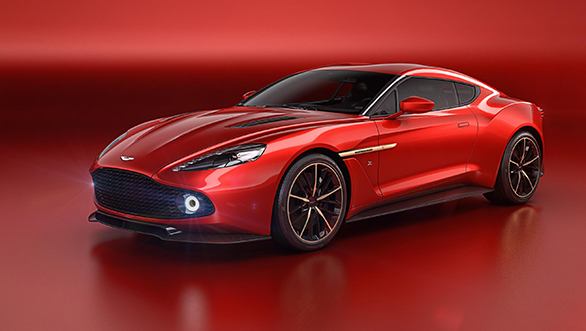 The Vanquish Zagato Concept has been designed with close collaboration between the Aston Martin design team and Andrea Zagato's dedicated design team in Milan. Engineering and development was done at Aston Martin's headquarters in Gaydon, England. The Aston Martin Vanquish Zagato Concept has all its panels made from carbon fibre with a wraparound windshield akin to those seen on Koenigseggs. It also features a double bubble roof, a design cue as seen on many Zagato creations. The front end resembles the standard Vanquish, save for the grille made up of Z's. The rear end on the other hand is completely transformed. The tail lights feature the same LED tech seen on the Aston Martin Vulcan and have a round profile which reminds us of the Alfa Romeo 4C and 8C Competizione. 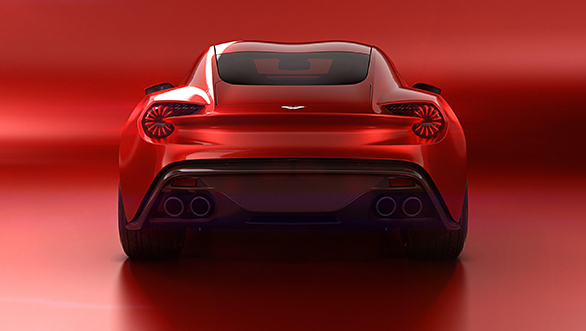 Paired with quad exhaust tips, the Vanquish Zagato Concept has a rear end which is quintessentially Italian. 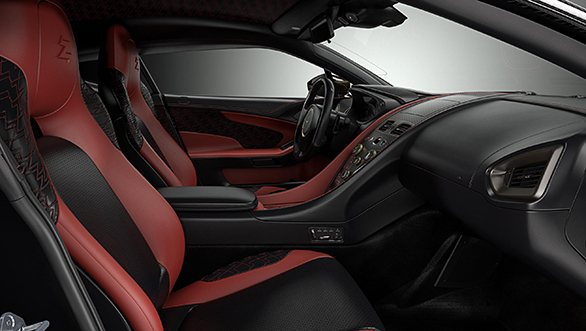 The interior of the car features more Zagato design cues, with 'Z' themed upholstery. The concept shares the same underpinnings as the Aston Martin Vanquish and is powered by a tuned variant of the 6.0-litre V12 which produces 600PS.